Type 2 diabetes is a very serious condition that often leads to greater health complications and a stricter reliance on medication. However, recent studies indicate that some dietary changes, including adherence to a Mediterranean diet low in carbohydrates, can actually not just limit the reliance on medication, but also result in a greater chance of remission. 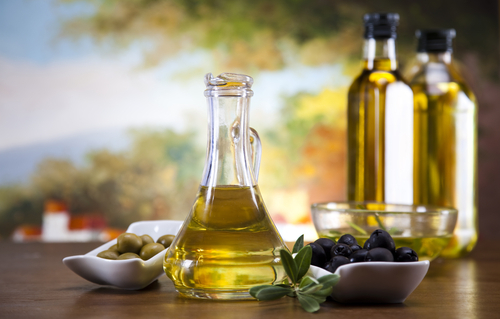 By replacing low-carb foods for fat, especially using healthy, monounsaturated fats like extra virgin olive oil, people have the ability to achieve greater health benefits. This information was discovered throughout the course of a four-year randomized control trial that was published in a journal called the Annals of Internal Medicine. In the study, researchers compared the effects a low-carb Mediterranean diet (LCMD), defined as containing less than 50 percent carbohydrates, had compared to a standard low-fat (LF) diet, defined as containing less than 30 percent fat. The subjects of the study were patients who were recently diagnosed with type 2 diabetes. Researchers were particularly interested in how these diets affected the need for antihyperglycemic medication. There were 215 overweight participants in the study who had never used antihyperglycemic drugs before. After four years of the study, only 44 percent of patients in the LCMD group required medication, compared to 70 percent of the patients in the LF group. LCMD was also found to reduce HbA1c levels by 2 percent compared to 1.6 percent in the LF group. The original study concluded in 2009, and an eight-year follow-up of this study was published in the Diabetes Care journal in 2014. In that follow up, it was determined that LCMD group participants experienced remission at a significantly higher rate than LF participants. Extra virgin olive oil acts as an excellent substitute for a variety of common foods used in cooking and baking, including other types of oils, butter and more. Making these substitutions is one small step you can take to better overall health and nutrition. Place an order for a bottle of My Olive Tree’s high-quality extra virgin olive oil today!